Flip 3 Coins if Heads, add 30 More Damage to this attack cause it stinks more. Attack 2 : Master Sy...Boom! 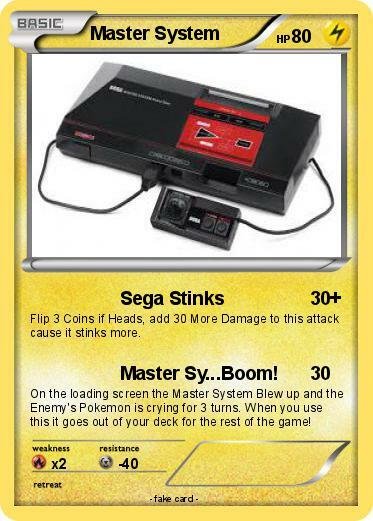 On the loading screen the Master System Blew up and the Enemy's Pokemon is crying for 3 turns. When you use this it goes out of your deck for the rest of the game!